Young and happening hero Vijay Devarakonda is coming up with a horror thriller movie Taxiwala where he will be seen as a cab driver. Directed by Rahul Sankrityayan, the film will be high on VFX and it will have nearly 650 CG shots. 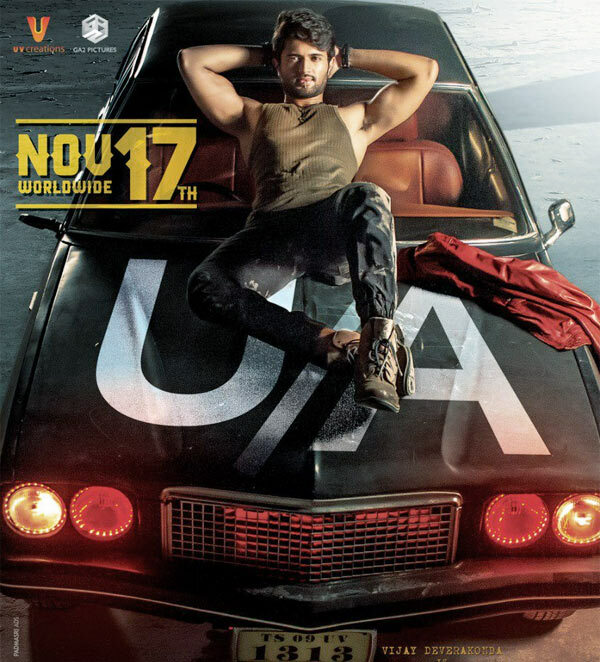 Latest update is that, Taxiwala has completed its censor formalities and the movie has been awarded with U/A certificate. Now that the film is done with all the hurdles, it will hit the screens grandly on 17th of this month. Vijay Devarakonda’s screen presence, astonishing VFX, Rahul’s taking, Jakes Bejoy’s stimulating BGM work, few thrilling elements and top notch production values of UV Creations and Geetha Arts are said to be positives, lack of elements for masses and romantic track are allegedly negatives of the film. Priyanka Jawalkar and Malavika Nair are heroines, while Ravi Prakash and Uttej will be seen in crucial roles.